The North of the 49th Marathon took place this past weekend in Winnipeg. Click here for results and pictures from InlineSkateMpls. Ottawa skaters and the Ottawa Inline Skating Fesitval are featured in Metro- read more in Skating in the summertime. Morgane Echardour and Peter Doucet have been training in France since early July. Echardour and Doucet were recently photographed training with World Champion and World Inline Cup front-runner Yann Guyader. Click here for the photo album. The pair have been training on a 200-meter banked track in Nantes, France, in preparation for the upcoming World Roller Speed Skating Championships in Gijon, Spain. You can follow Peter Doucet’s website Speed Skate World. The rest of the Canadian World Team will arrive in Gijon on September 1st. Racing begins September 4th. Canada’s new racing skin suit saw the light of day thanks to the Design Canada! competition. The suits are ready just in time for the World Roller Speed Skating Championships, which are set to take place September 4th to 12th in Gijon, Spain. Canada’s team of 9 skaters will arrive in Gijon September 1st. 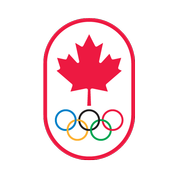 The skaters, coaches, and supporters are all responsible for the majority of the costs so that they could represent Canada. The world of artistic roller skating has been constantly evolving from the traditional freestyle, dance and figure events to precision team skating. Two of our Canadian athletes, Jade and Kailah Macri from the Whitby Roller Skating Club have shown us what drive and commitment can accomplish. Jade and Kailah competed in an event in Fresno, California earlier this year called the Gold Skate Classic which has been an annual event since the mid 1960’s. They participated in Show Production and their performance won first place. (click here to see video or watch below). Kailah also competed in the recent US National Championships in Lincoln, Nebraska and placed first in Junior Ladies Freestyle (click to see videos of her short and long program or watch below). Kailah and Jade will represent Canada at the 53rd World Artistic Roller Skating Championships in Kaohsiung, Taiwan in November. Kailah will compete in Junior World Class Ladies Freestyle and both Kailah and Jade will compete in Junior World Class Ladies Figures. The Canadian National Artistic Championships & Invitational were held on August 9th in Oshawa. Click here for the full results.